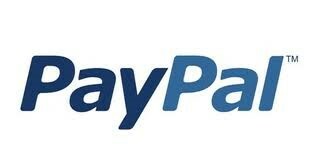 You will be redirected to Paypal website (our appointed Secured 3rd party payment gateway Paypal when you place an order. 1) Available for all country customers. 2) Highly recommended for customers who do not have internet banking. 3) Occasionally due to network issue or your pc's pop-up blocker/firewall settings, you're not being redirect to the Paypal website. Go to Account - Recent Orders, you'll see the payment link that will redirect you to Paypal website. Proceed to make the payment right after checking out order successfully. We strongly advise to fill in your Order Number in the description of the transaction. 1) Please inform us how payment was made as detail as possible. The statement in the account do not indicate who has made the payment. Also, if you cash deposit by machine multiple times, please inform us as well. 2) Excess payment will be refunded in the shipment if using CDM. For international customers (outside Malaysia), payment info via Paypal and shipping charge will be advised after receiving your order. Please check out your order then we will come back to you for shipping quote (no payment is required to check out order). Payment must be received within 24 hoursor it will be canceled automatically by our system. A fresh order must be placed once order has been canceled.